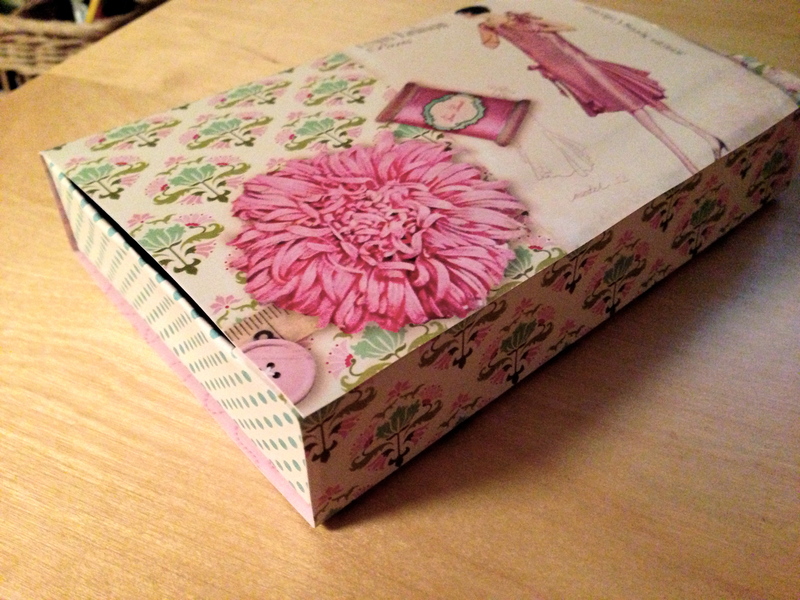 If you’re giving away a gift card, something small or a card and money it’s nice to make a gift box to go with it. By picking paper that either goes with the gift or that represents the person who is getting it you can really make it personal. I recently gave my friend a gift card to a traveling agency and I used this and this paper for the box. This weekend I gave a friend a gift certificate for a sewing day together and this was the box I made her. Categories: LyllosMig, Paper Work | Permalink. I love to be creative, especially to sew, finding new patterns and fabrics is always rewarding and fun. I've grown up with the craft, my mother is a quilt-shop owner and her love for sewing has rubbed off on me.